In light of Milan's new-found (re-found, actually) power in the transfer market and all the rumors flying around, I thought I'd share some of my own ideas as to what players would take Milan to new heights. I'll skip the great players that are already on Milan's radar like Asamoah and Hamsik, and concentrate on some names that should be on Milan's radar. I won't be talking about any Messi, Pique or Ozil, but players Milan could realistically get their hands on. After all, if we're linked with Fabregas, I think we're allowed to dream about...well, just about anyone who isn't playing for Barca, Real Madrid, Chelsea or Manchester United. 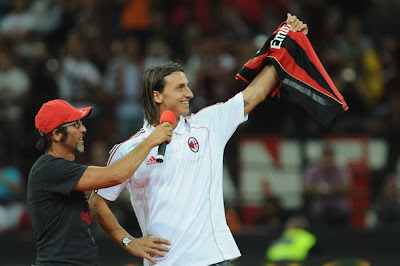 Since Milan signed Ibrahimovic last summer, it's been clear Berlusconi means business and Milan is once again a force to be reckoned with in the market. 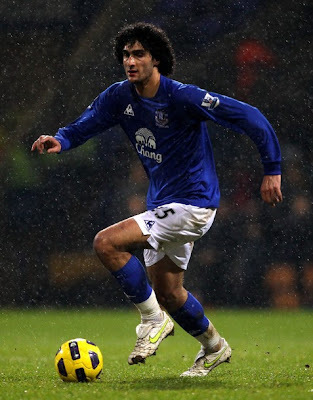 After joining Everton in 2008, the Belgian international quickly turned himself into an icon for the club's supporters. Standing at 194 cm (6 ft 4) and being very agile for his height, he began to dominate the pitch as soon as he had grown accustomed to English football. When I say 'dominate the pitch' I mean any part of the pitch you put him on. In his first season, Everton had an immense injury crisis, leaving them with no strikers. Fellaini was deployed as a striker along with Tim Cahill, to which he responded by scoring 8 goals. He's played as a lone forward, as a support striker, defensive midfielder, even center back on some occasions. This made him a cult hero for fantasy managers in the 2008/09 season, as he could be selected as a defender while playing as a striker. 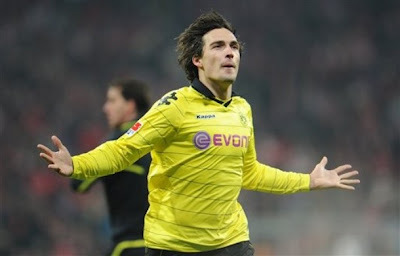 Another physically superb player, the German is the foundation of Borussia Dortmund's amazing season. With Neven Subotic he forms one of the most formidable defense partnerships in Europe. The 191 cm (6 ft 3) tall defender, like Fellaini, is very mobile for his size. His astute positioning combined with an old school no-nonsense approach to defending makes him one of football's most promising center backs. Like Thiago Silva, he manages to constantly put himself in the right position to cleanly stop the opponent, as evidenced by his near-flawless record of zero red cards and 6 yellow cards in two years for Borussia - take notes, Monsieur Mexes. Like Thiago Silva, he has a good range of passing and has reasonable technical attributes. Like Thiago Silva, he has been deployed as a defensive midfielder on occasion. I can't help but think that these two men, if paired up, would form the best partnership in Europe for the next ten years. With Nesta' retirement looming, we need a player of the biggest caliber to take his place - and Hummels is just that. My third and last dream signing is a bit more of a personal preference than a necessity for Milan and I'll gladly admit my choice has to do with the man's nationality. 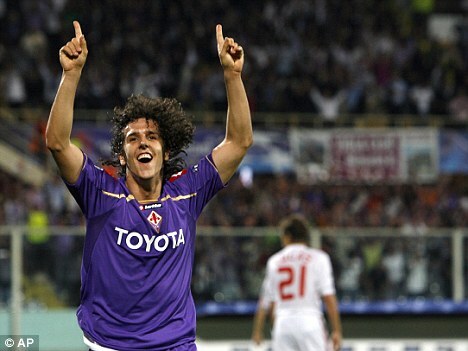 National bias or not, few will deny that Jovetic has an immense amount of talent. After missing an entire season with torn ligaments at the age of 21, it remains to be seen how much of his potential will turn into actual quality and next season may be the most important one in shaping his future career - another serious injury could turn his story into a tragic one, while a good season with Fiorentina could see him mature into a player as widely recognized as a future star as Javier Pastore. While I would love to see another Montenegrin jewel in red and black after Savicevic, I would hold off on this transfer until his injury status is a little clearer. Torn ligaments have destroyed more than a few careers and, as much as I would love to hear the words 'Jovetic with a wondeful through ball for Pato...Pato scores!' while watching a game, the club has to come first and the risk needs to be weighed against the potential greatness. Jovetic can play behind two strikers, as a support striker, on the left wing or as a central midfielder, his favored position being behind strikers (or just one striker). I am aware that Milan is likely to fill that position this summer with a player of equal or better skills, but what draws me to Jovetic apart from his skill-set is his mentality - the man is a model professional in the true sense of the phrase, a player that displays responsibility beyond his age and seems determined to overcome anything in order to play his football. He was the youngest captain in Partizan Belgrade's history - he wore the band at only 18 years of age, which speaks volumes for him in terms of maturity. One last thing - if he is ever linked with Milan and he says it's a dream move for him and he supported Milan as a child, he's not lying. I've heard him say so a few times when asked about favorite clubs by Montenegrin journalists (he was a co-pundit on Champions League nights a few times during his injury absence). And there it is, for what it's worth, those are three men I'd love to see in a Milan shirt. Considering Bayern's interest in Hummels and the fact we're likely to fill Jovetic's position with someone else, Fellaini remains my number one dream signing - both most needed by Milan and most likely. Feel free to share any of your own fantasy signings with us, and enjoy your first post-season weekend.